Saying that "it's time to burn the beret and bury the blue dress," Monica Lewinsky is writing for the first time about her affair with Bill Clinton. "I, myself, deeply regret what happened between me and President Clinton. Let me say it again: I. Myself. Deeply. Regret. What. Happened," says the now 40-year-old Lewinsky in the upcoming issue of Vanity Fair. Lewinsky maintains the relationship in the 1990s was one between two consenting adults. "Sure, my boss took advantage of me, but I will always remain firm on this point: it was a consensual relationship. Any 'abuse' came in the aftermath, when I was made a scapegoat in order to protect his powerful position," Lewinsky writes. Asked about those conversations between Hillary Clinton and Blair, Lewinsky writes: "Yes, I get it. Hillary Clinton wanted it on record that she was lashing out at her husband's mistress. She may have faulted her husband for being inappropriate, but I find her impulse to blame the Woman-not only me, but herself-troubling." And she rejects the "narcissistic loony toon" label, saying that she refused to cooperate with interrogators offering the then-24 year old immunity from the threat of jail time in return for wearing a wire to monitor staged conversations with two of Clinton's confidantes." At 6:30pm ET, Ruth Marcus of the Washington Post debates with Penny Young Nance of Concerned Women for America. Joining them are hosts S.E. Cupp and Van Jones. 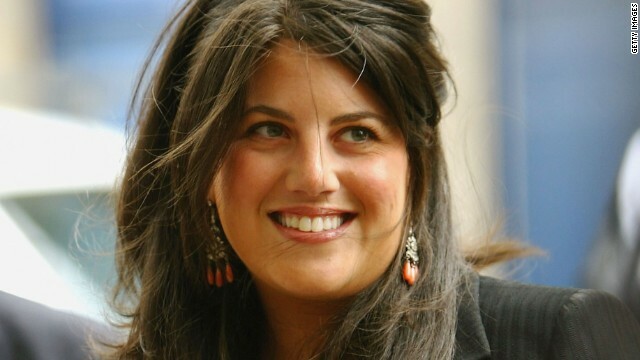 Does Monica Lewinsky speaking out help or hurt Hillary’s 2016 ambitions? Vote by tweeting Help or Hurt using #Crossfire or comment on our Facebook post. View results below or through our Poptip results page. It's interesting that Monica Lewinsky is vilified by many of the same who honor Bill Clinton despite his leaving a long trail of sexual assault allegations that extend back to his time in Oxford. It's also very clear that this was NOT a sexual assault. So what's your point? If Monica want's to go afte Bill... fine. But the offenders in this were Bill and Monica. Hillary has EVERY right to be angry toward Monica and express it however she likes. The same goes with Hillary's anger toward Bill. Look... let's say Bill had an affair with a man. Would it somehow be "more or less feminist" for Hillary to react the same way? Of course not. Her anger is directed toward someone who WRONGED her, not betcause they were a woman but because they screwed her spouse. She is allowed to react however she pleases toward all of the offenders. Same goes for Wendy Vitter. She forgave her husband for sleeping with prostitutes. The cheated on party in a situation like this is simply never at fault. The attempt to paint any of this on Hillary is frankly disgusting. Go after Bill Clinton. Go after David Vitter. Go after Monica Lewinsky. Go after the madam of the brothel Vitter frequented. But leave the wronged spouses alone and let them choose to handle their personal life however they choose... even if they choose to forgive their cheating spouses. I don't want to see Monica's face ever again. She was the preditor of that whole unsavory business. She has no right to claim she was 'a victim.' Bologna! She said back then, she was hoping President Clinton would leave Hillary and marry her. Go away woman! The US DOD announces a new weapon available if hostile aliens try to take over the Earth. The DOD will allow Palin voters to "mind meld" with the aliens. The aliens' heads will immediately implode caused by the huge vacuum. I believe that Monica willingly had a torrid affair with Bill Clinton that is very old news. Bringing up her involvement to sell her books and memoirs is just Monica crying poor me to attract attention to her previous lack of judgment in a moral matter that she admits was consensual. There’s a hint of Republican involvement to discredit the Clintons accusing Hillary of not being strong enough during this emotional test of strength, when in fact Hillary was cool and in complete control despite the inflicted pain. Fact is fact and fiction is fiction. I reality there is nothing new to be learned except for those that can't get enough to satisfy them. Like it or not Lewinsky is a part of History of the Clinton Presidency. It will likely be the main item that is remembered, talked about after everything is buried in the history books. No she's not. She's just being paid by the Kochs to TRY to be back. Get over it repubs. If you choose to have a high profile affair with a sitting, married president, you CAN NOT talk about it, to anyone. If Lewinsky had not spilled the beans to her "friend" Linda Tripp, things might have been entirely different.